I had been up since 5:30, awoken by the sound of the rain. The sounds of the water falling against my window served as a reminder of many details of my past. Memories included the time that my classmates were chosen by two team captains to play some kickball, but since there were an odd number of students I was the odd one out and as such I was the one who had to run out into traffic to get the ball, and sometimes to do so when there was no ball. Or the time I drank some odd looking apple juice out of a clear container in my dad’s fridge when I was eleven. It was actually beer, and I became a raging alcoholic until I sobered up thanks to AA at the age of fourteen. Twelve years sober and counting! A few years ago I had some issues and went to what I thought was a registered psychologist. Turns out she was actually a reverse psychologist. I told her about how stressed out I was, she agreed with me and I immediately got better. It had reminded me of the time that, with the aid of a panda, I had massaged the soil of a potted plant until the plant shrunk and I grew a copy of myself large enough to consume the entire planet. Lastly I thought about the time I had watched in despair, soaking wet, as a cat ran over my bike. Well, okay. The cat was technically a lion and I guess I should be thankful I escaped with my life but that bike was of a perfect color and I didn’t know where to buy the paint to repaint it! In short, it reminded me of simpler times . . . If the US government can’t be bothered to keep operating, then I can’t be bothered to color this all the way in. 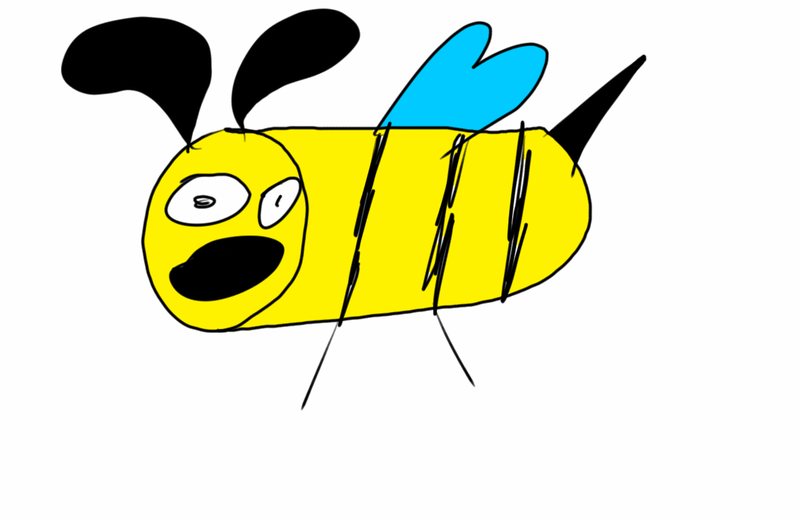 This entry was posted in Bees!, Blog, Blogging and tagged Art, blog, drinking, memories, picture, rain, story, water, weather, writing. Bookmark the permalink. I have a super secret personal project on the side. A journal entry and a daily topic.